Introducing our 2008 Saturn Outlook XR Special showcased in Gold Mist that offers the roominess and practicality of a family-oriented SUV combined with the easy handling and accessibility of a smaller car. Powered by a reliable 3.6 Liter V6 producing 275hp while connected to a smooth shifting 6 Speed Automatic transmission. 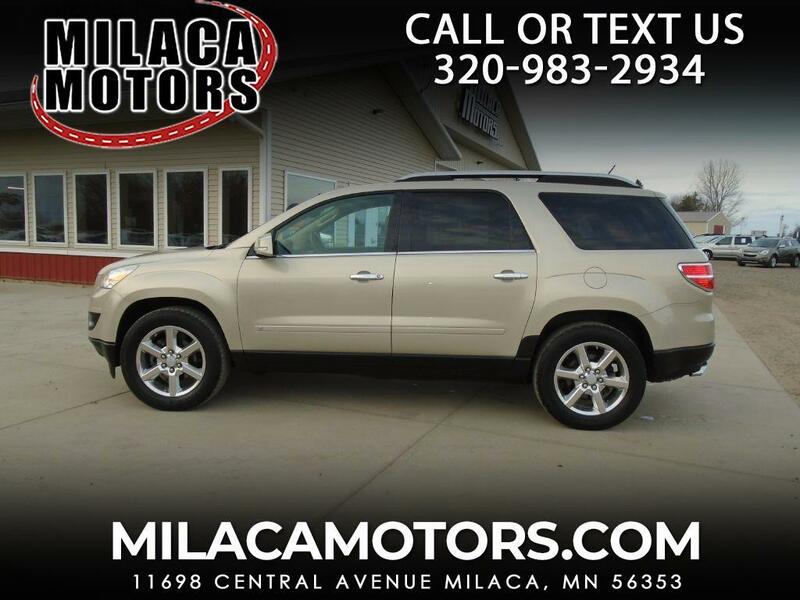 This Front Wheel Drive SUV provides comfortable seating for everyone! The Outlook XR's wood-trimmed cabin closely resembles its relative, the GMC Acadia, and earns the same top marks for its interior capacity and class-leading amount of cargo space. One look at the features on board this Outlook XR and you will be hooked! Supple leather seating, a DVD entertainment system, passenger climate control, and much more are all waiting for you! The NTHSA describes this vehicle from Saturn as being safe, solid, and reliable, giving it a 5-star crash test rating! Compare this Outlook XR to the competition, and we think you'll agree it is a smart choice! Print this page and call us Now... We Know You Will Enjoy Your Test Drive Towards Ownership!